If this is your first visit, be sure to check out the FAQ by clicking the link above. You are required to register before you can post. If you experience a problem logging in, drop me an email to admin@ozaudi.com and I'll sort it out for you. To start viewing messages, select the forum that you want to visit from the selection below. 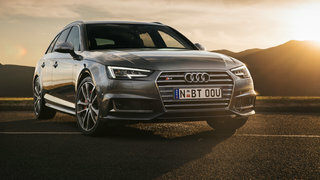 Whether in sedan or Avant wagon guise, the Audi S4 is the mid-sized luxury car you buy when you want something fast and brimming with technology, but don’t want to shout about it. That’s the corporate line, anyway. But as our time behind the wheel on the Australian launch earlier this week showed us, it fits the car like a sports jacket and designer frames. Audi Perth was nice enough to lend me one for a day/ Quite magnificent. All times are GMT +11. The time now is 03:03 PM.